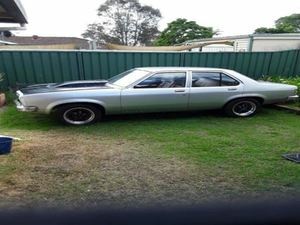 Gday, I'm selling this Lh Holden Tirana, 90% finished. Items that are neware roof lining, carpet, also seats have been reapulsted, front and back windowhas got new rubbers, new radio, new gauges, new radiator, new holly 750 doublepumper, new dizzy but has not been installed, the motor is a 350 Chevy which hasbeen pulled down and rebuilt with big cam, it has got a Ford 9 inch dif whichwas made for the car, new back and front shocks but front has not beeninstalled, has got new aluminum fuel seal and holly blue fuel pump with new fuellines, new radiator and new radiant coolant for transmission but has not beeninstalled, new autonator and germa belts and much more to list. Things that haveto be done on the car are: front and back breaks, tail shaft, and wire theengine up.